Join @NorfolkFDN – the Norfolk network for buyers and suppliers of local food and drink. 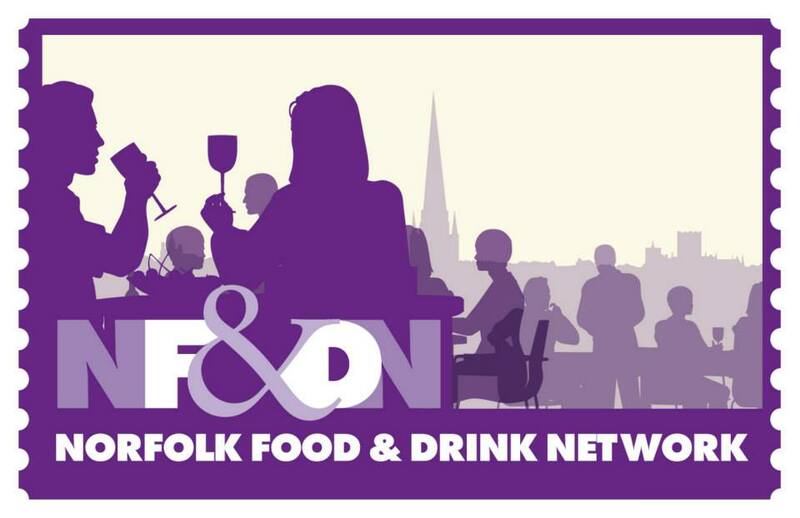 Local people with a passion for Norfolk’s food and drink have launched a new networking group for buyers and suppliers: the Norfolk Food & Drink Network (@NorfolkFDN on twitter). Now we want you – producers, processors, chefs, restaurateurs, wholesalers and retailers – to get involved. This network brings together professionals from across the industry to share knowledge and ideas in a relaxed and friendly environment. There are no membership fees – just a small charge for some excellent canapés and a drink at each event – and there is no pressure to sell yourself or make introductions. Instead, each quarterly event will feature guest speakers who will talk about lessons they have learnt – and mistakes they have made along the way to success.There will also be plenty of time for members to share their own stories, discuss industry issues and make valuable business contacts. The events will normally be at The Library Bar and Grill on Guildhall Hill in Norwich – but we are looking at other venues for special events. The network has been set up by Emma Arthurton from Larking Gowen, Nicola Butterworth from Howes Percival, Jayne Raffles from Raffles Restaurants and representatives from the Norfolk Food & Drink Festival (Anna Stevenson, the festival’s co-ordinator, and me, in my role as one of this year’s festival champions). We have since been joined by my fellow #NFDF2014 champion Charlie Hodson and by Charlotte Cousens from Contract Personnel. If you want to get involved – please get in touch. The Food and Drink sector is a vital part of our local economy. Across the New Anglia LEP (NALEP) region, the Agri-food industry (‘plough to packet’) is worth around £4bn and employs some 15% of the workforce, many in highly skilled jobs requiring good STEM qualifications. Food and drink is also an important part of Norfolk’s tourism offer, accounting for 29% of tourist spending in the NALEP region (more than shopping at 27%). So anything we can do to strengthen local businesses is good for our community too. We have now held two events (in July and October) and both were a big success with great feedback on our member surveys – including 87% rating the events as very good or excellent. The next event will be on Monday 26 January 2015 at The Library Bar and Grill from 17:30-19:30. Follow @NorfolkFDN on twitter and look out for the booking info – be sure to invite a business contact too. To keep up to date future events, please follow NFDN on facebook – and help spread the word by liking their page and sharing with your social media network. Here at Business Writers Limited we’re using our blogs to raise money for @NelsonsJourney – here’s why. This is one in a series of #NFDF2014 tagged posts about the Norfolk Food and Drink Festival 2014 and related stories – I hope you enjoy them. This entry was posted in #NFDF2014, #VisitNorfolk, #VisitNorwich, Business, Local Drink, Local Food, Norfolk and Norwich and tagged #agrichatuk, #BuyLocalNorfolk, #NFDF2014, #VisitNorfolk, #VisitNorwich, Drink, Food, Social Media, Social network by Huw Sayer - Business Writer. Bookmark the permalink. Beer & Bangers tasting Monday 26 Jan 2015 – You can now book your place at this event using Eventbrite http://www.eventbrite.co.uk/e/norfolk-food-and-drink-network-january-2015-beer-and-banger-event-tickets-14439481879. Come along and enjoy some of the best beer and bangers Norfolk has to offer with short talks by a master brewer and a master butcher. Thank you Nic – feel free to sign up for the networking event in Jan 2015 (I can’t make it but the rest of the team are friendly too).